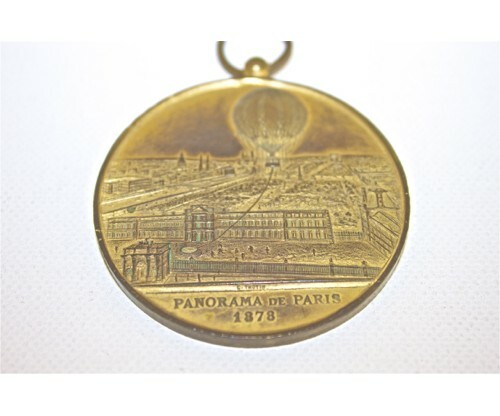 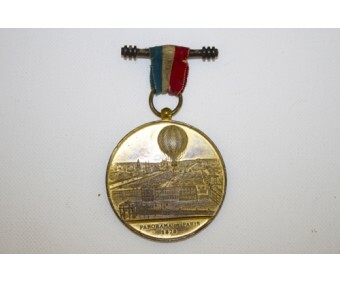 A rare early ballooning gilt metal medal depicting the 'tethered' balloon of Henry Giffard - Paris. 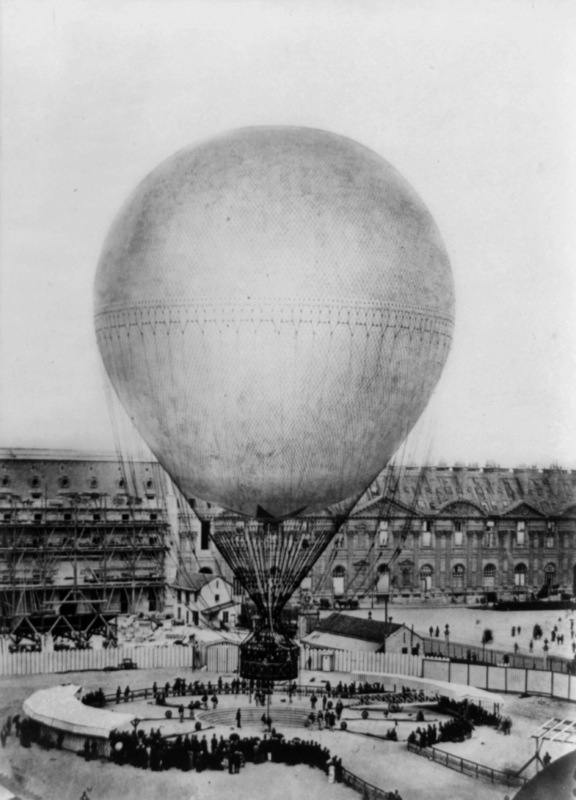 Dated - 1878 By C. Trottin, Paris. 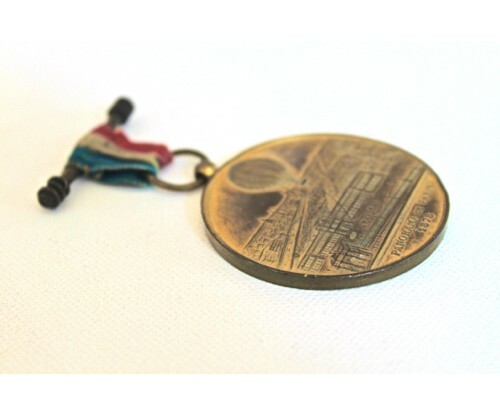 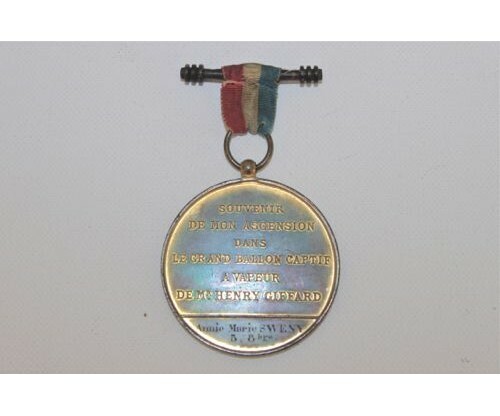 50 passengers, who were each given one of these medals as a souvenir of their flight. 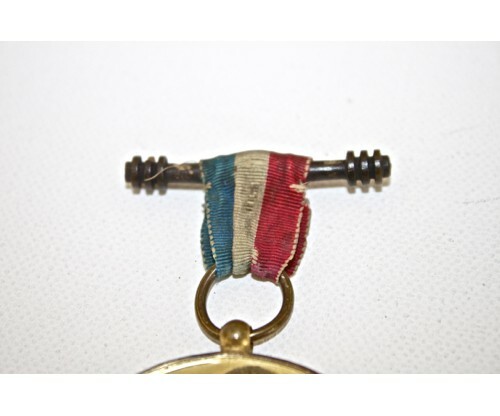 missing from other known examples.